Hey there! So you've probably came here to figure out what you should do to make the most out of your gaming experience on Lords Mobile. To begin with, there are several investments that people must begin doing in order to see substancial growth. The reason I suggest you begin doing this rather than using energy in your inventory up right away, is it often will backfire when events arrive. There are usually special monster hunts that occur throughout the event cycle, and the rewards they give are tremendously helpful in growth. One example is the Phantom Knight, another would be the Bunny Hop's during Easter. What they all have in common is that they give enormous amounts of rewards to the players who have saved the energy in their inventory and it is why I think you should too! Obviously the energy you generate each day is used on monsters – but what do I recommend you do when that energy is maxed out? You should understand what the drop rates on monsters are! You'll notice that the drop rates benefit certain in game items according to different levels of monsters. What I recommend you do is aim for level 1 monsters in quantity regularly to increase the gift level of your guild. The reason you want to do this is it will significantly boost your guild gifts, resource packs, and speedups each day. You want to make strides in pushing your monster hunting research to the maximum, as you will increase the damage and the speed at which your hero marches go. The benefit of doing this is that while you're capable of hitting higher level monsters with the research, you're also gaining experience to the heroes you've selected to use for those monsters more often each day. Researching further into the actual energy cap, monster hunting row, and energy regeneration/saving has enormous benefits for your account. As you progress and gain access to better levels of monsters through Monster Hunting research, you will want to begin to focus more on the level 2 monsters. The main focus here is that you want to KILL the monsters you're using the energy on, as this is going to help you add to your guild gifts. How do you know when to make the next step to level 3 monsters? 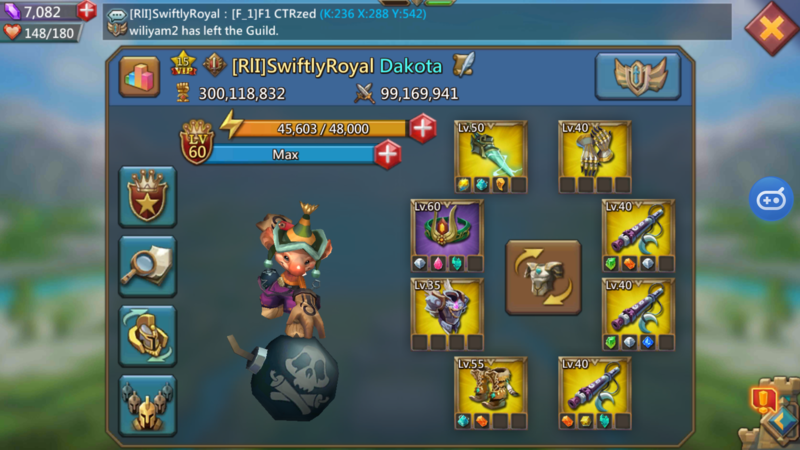 When you've established a group of people in a guild, you should be more than capable to work as a team to knock down level 3 monsters together. The benefit of attacking the monsters then is to hit them using all your energy in one single go (like 2x,3x,4x, etc, on the tab on the right when you attack a monster). The reason you want to hit them at max is you're aiming to kill the monster, but also increase the loot roll of items you'll have a chance at (because the more hunts you do in a single hit, the more items you'll get). HOWEVER, you do not want to attempt this alone! Energy is very costly and most people are not capable of hitting a level 3 monster on a full energy hit without monster hunting gear! If you're going at it alone, always do 1 hunt at a time and let the damage multiplier stack to take care of the rest. If you've finally hit your maximum multiplier, that is when you should decide to use the remainder of the energy you have left as you'll maximize the most amount of damage capable. All you will need to do is select your castle. NO, not the one in the world map! We're talking about the castle that you see when the app first begins, where you can see your resource nodes, golden hero statue, you know – the beginning menu! What this castle provides is all the statistics that we'll need to keep track of ourselves, it lets us know how much we're producing of each resource and how we're doing in bagged resources. By far, the healthiest decision for growth in this game is to avoid using your bags. The only time I've ever made the decision to use the bags that I have is when I'm in the middle of war such as repair or whenever I'm in a time of crisis and I'm preparing to heal. The remainder of my resources I try to stay completely generated from my buildings. In case you're wondering, the Economy tree is where you'll start. You have to increase the production rates of those buildings as well as their levels to get to this stage in the game. It helps if you aren't using a vault that isn't upgraded to its maximum potential – as this is what keeps our resources from greedy players. Of course there is plenty of research that goes along with resource shelter capacity throughout the research tree, as you'll find it available in Military Command and in the Economy tree. Improve your resource production and vault capacity, and you're on a great path to success. 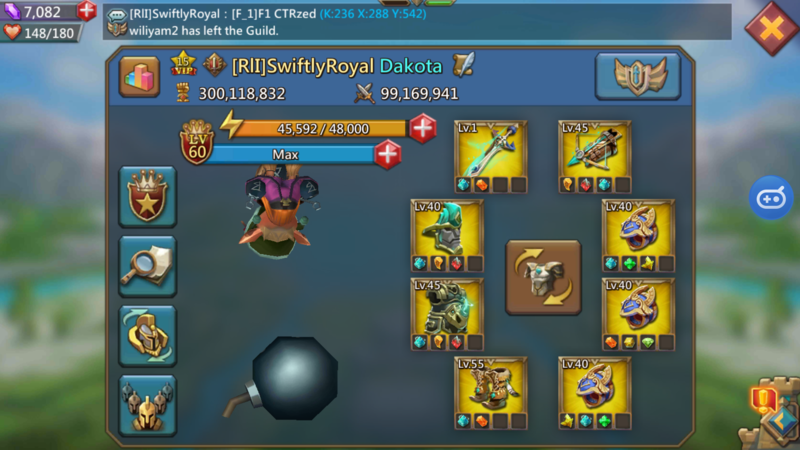 Look for gear in the Workshop and use filters to put on gear that will increase certain resources. You will want to work hard to earn these pieces of gear through either purchasing them or by working hard to find your free to play alternatives! Use your talents to increase certain resources as well – and what resources you might ask? Whatever you deem necessary to your survival! This will mostly depend on the setup you use for buildings – as the quantity of buildings of ore, wood, gold, and food vary from player to player. If you can manage doing this, you'll be able to make use of your bags as the cost of research and construction becomes much higher. All you will need to do then is prioritize your efforts on events like Code 66, where you can find yourself profiting in resources for months. This way you're able to stay ahead and you won't be far behind – because you have quite literally a stash of resources to pull from and won't need to beg or steal too much to maintain yourself! In case you're not fond of reading, of course I"ve made a video for you! Now sure, this might sound really simple. However, I assure you that the maximum benefit in this game is the player who is capable of saving his speedups and allowing construction/research to work for him naturally. The reason I've approached the game this way rather than burning speedups outright is that you want to prioritize the speedups you've saved towards Hell events and Solo events. If you're capable of saving the speedups you have on hand, you're able to very easily complete guild fest quests when the event arrives and you won't worry when you may need to build troops! The benefit of saving speedups this way is that you can use the effort you put into saving them towards earning Watcher Medals and Chaos Dragon Medals, which are SPECIAL events you'll find with Hell Events, Solo Events, and Challenge events. You might be wondering though, how do I know how many speedups I"ll need? The easiest way to figure this out is actually to take the amount of points required for the event to complete, and this is what you'll need in might to compensate. This means that you will need to look into each category that the event requires, whether that be troops, buildings, labrinyth, research, and check to see what point value they are giving for the amount of might / holy stars used. 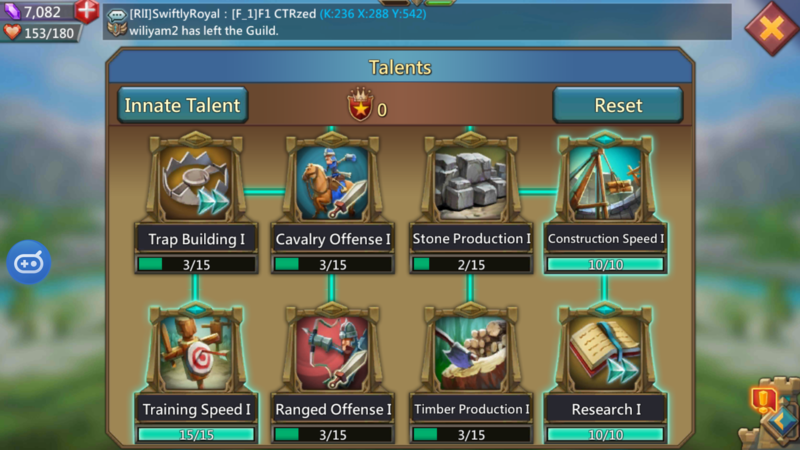 You can then calculate based on how many days it may take for each building, troop, or research just by taking a glance at the time in respect to the amount of might earned. This way you're able to do your events without fear of not completing them. IF you want a video guide of what I said above, here you go! It helps you out immensely to wear gear that improves whatever you're doing, whether that be training troops, researching, or construction. You can always use the filter tab in the workshop to find out what items provide. If you are a bit lazy and didn't already know, Lunar flutes are for research while sentinel circlets are for construction. You will want to obtain boosts on your journey throughout the game – there are a few ways to go about this. During events like Guildfest, you will be able to acquire boosts from the Rewards tab at the end of the event. 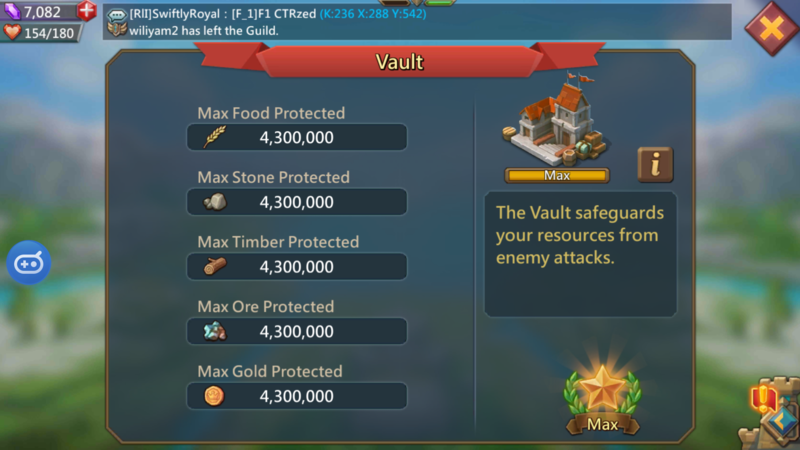 I recommend that you stack boosts along with your gear whenever you decide to do a vast majority of research or construction in a short period of time. This way you're maximizing what you obtain from the boosts. I hope all the advice in this article was useful for you. It was a pleasure taking the time to write this. If you have any suggestions for future articles please feel free to message me personally here on WeGamers. If you think it's helpful, please like this post and subscribe DakotaFisherman's Youtube channel for more video guides.